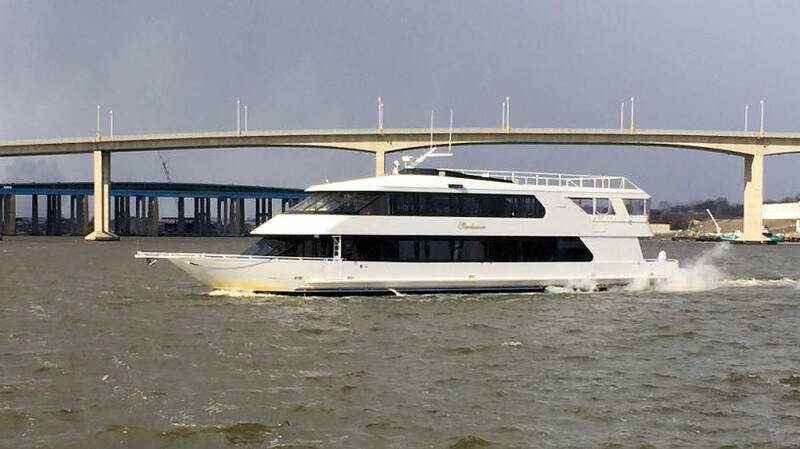 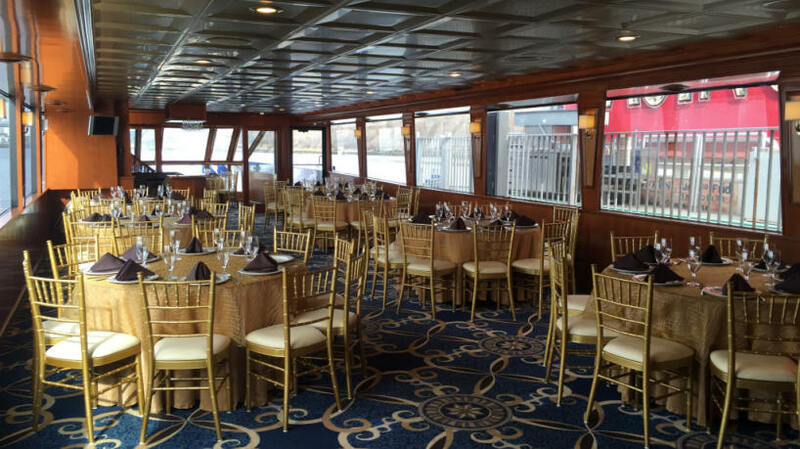 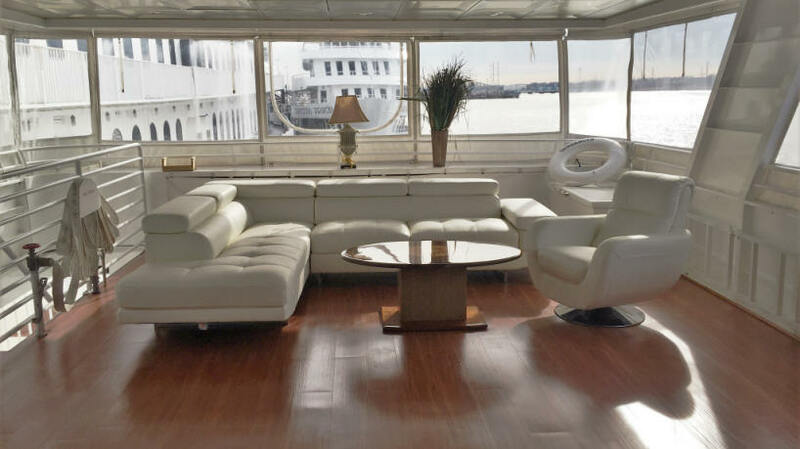 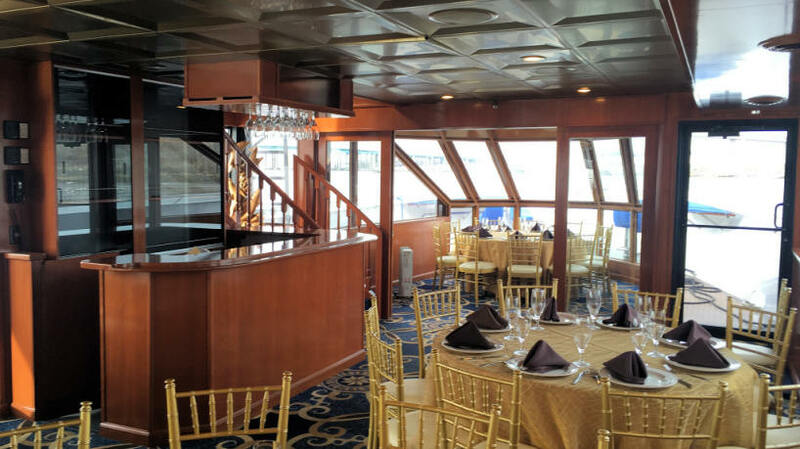 The NY NJ charter yacht Sundancer seats 60 for formal dining and accommodates over 100 guests for buffets and cocktail receptions. 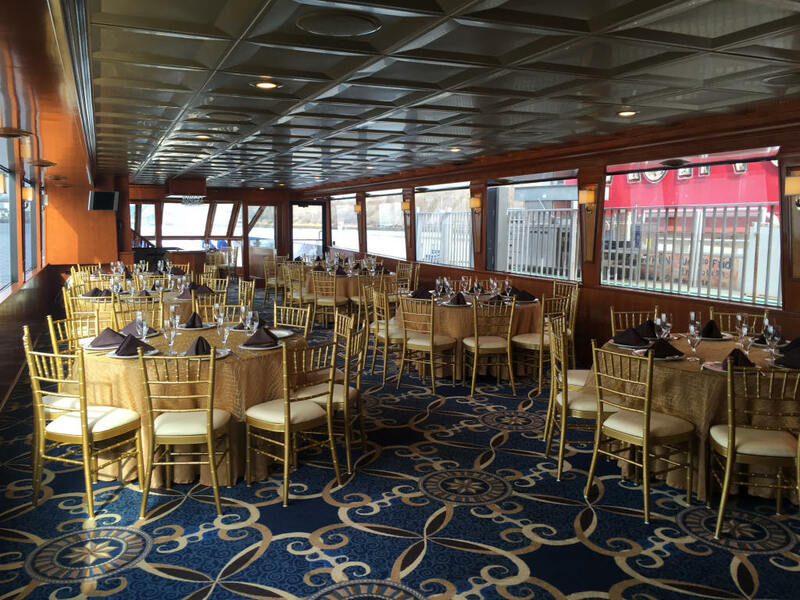 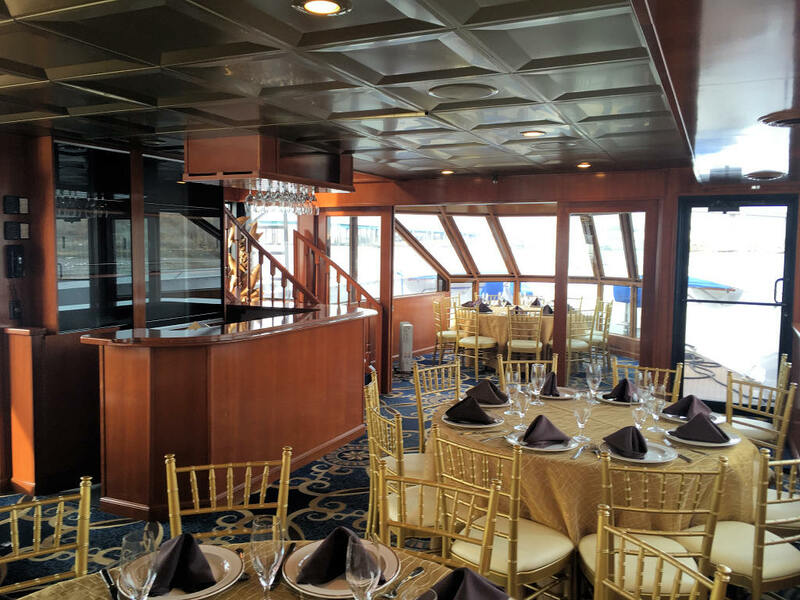 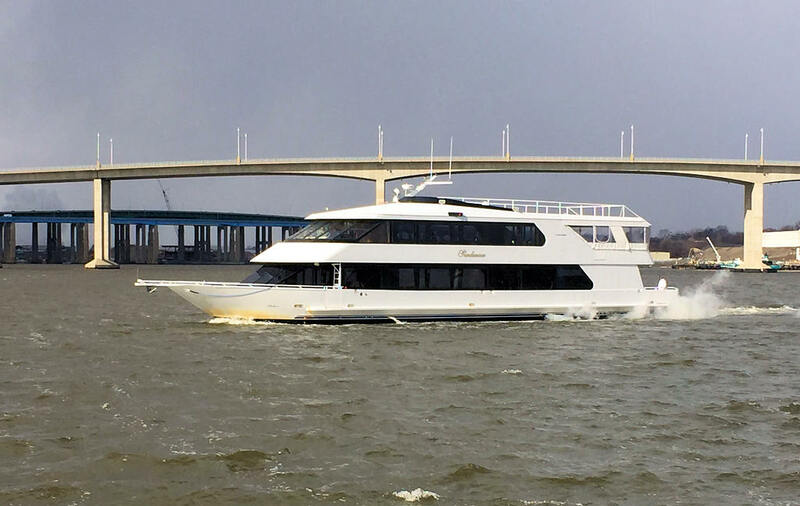 Perfect for any corporate or private occasion she provides an exceptional event space, the main level of the yacht has oversized windows for great views. 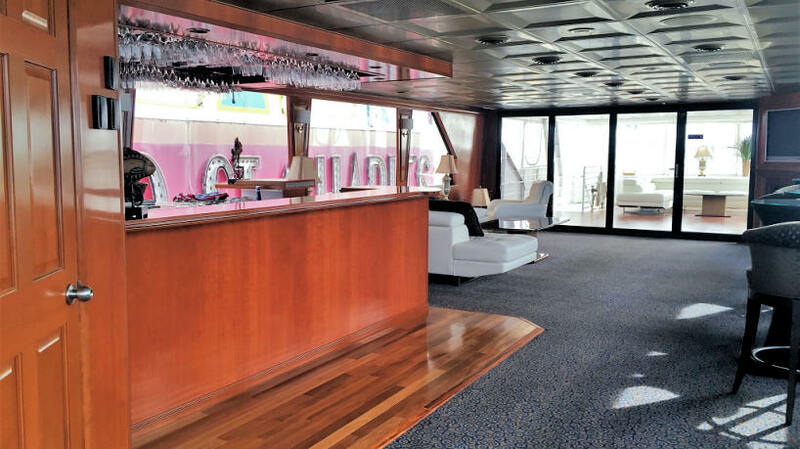 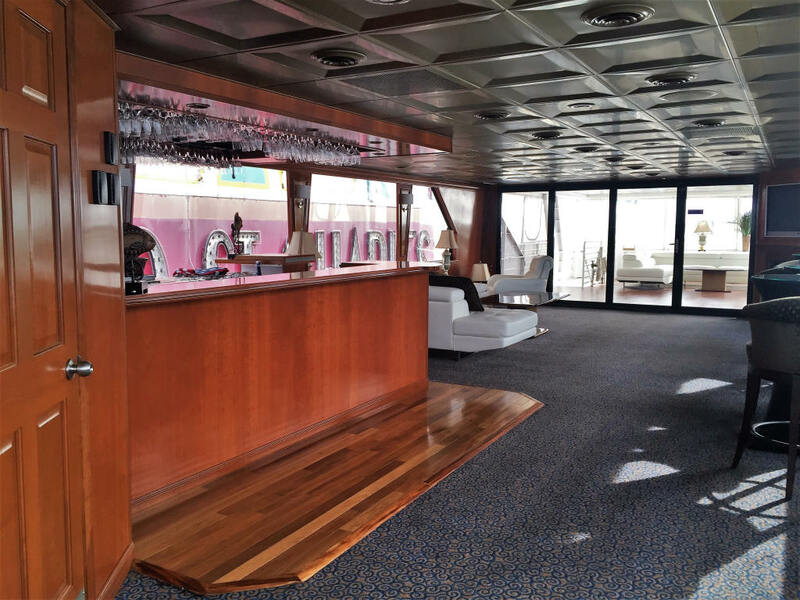 The second deck lounge is comfortably furnished with a full service bar and adjacent outdoor observation deck. 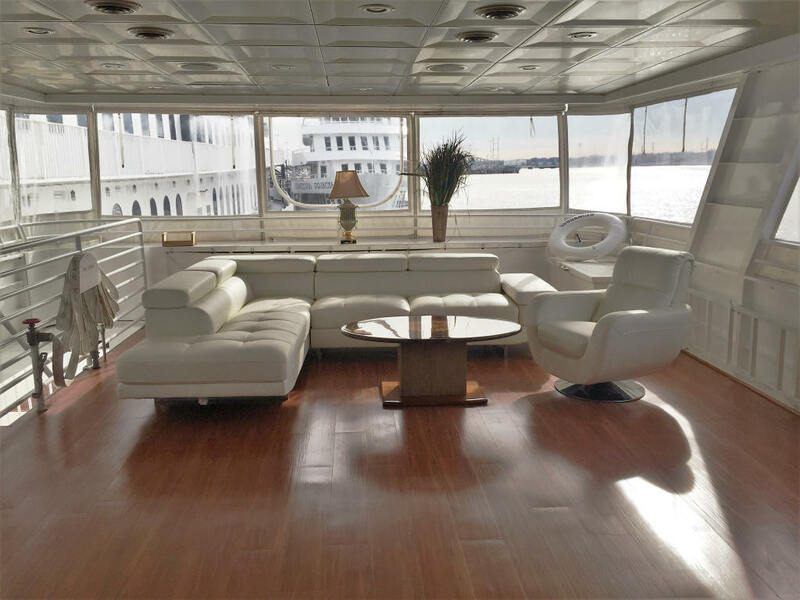 Other features include a private bridal suite, and full kitchen with chef on board.